Desire for FIFA ringtones for iPhone already? Then, what are you waiting for? Stick with us and free download FIFA ringtones for iPhone music video or downloading fifa songs and make custom ringtones for iPhone yourself. 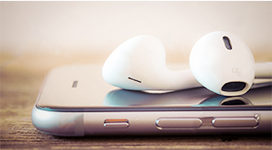 The free 5KPlayer and DearMob iPhone Music Manager bring all those great world cup ringtones, football ringtones 2019 for iPhone at your ears' reach. 3. Set 2018 FIFA World Cup Song as iPhone Ringtone. Therefore, be aware that this isn't a guide that lets you download ringtones directly from iPhone/iPod end, but from Windows/Mac end. Enjoy your free iPhone ringtone setting tour! *Copyright Warning! Remember that you cannot use copywritten music, without permission if you plan on selling them or using them for profit. Top 2018 FIFA World Cup Songs Ringtones Tracklist Here! The 2018 FIFA World Cup football ringtones for iPhone are shared here with links to download. Bookmark this page and stay tuned for new songs for free download. 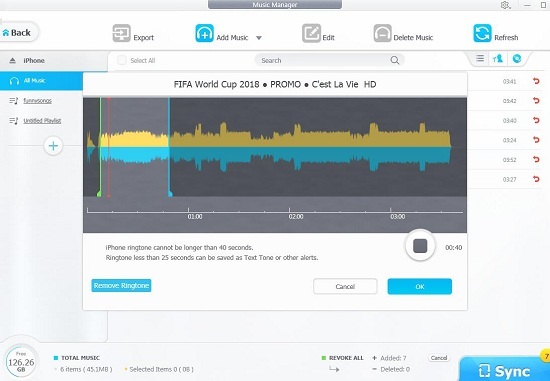 How to Free Download FIFA World Cup Ringtones to iPhone? 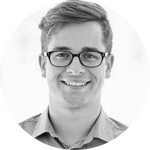 Tool 1: 5KPlayer - a downloader freeware that can free download football ringtones, 2018 FIFA world cup songs to Windows/Mac. Tool 2: DearMob iPhone Music Manager - a music tranfer freeware that can batch transfer iPhone ringtones and songs to iOS devices. Step 1: Click YouTube button on 5KPlayer main interface, you will be lead to this download window. Note: You can click the gear wheel button to choose sepecific video audio formats/resolutions you want: MP4, HD MP4, WebM, HD WebM, 3GP, or pure audio M4A. Side note: 5KPlayer offers direct YouTube audio download service in M4A format only. If you want to get the MP3 audio, download the original video and convert YouTube to MP3 any time you want. You can also mark it as your favorite by lighting up the Heart icone. Step 1: With DearMob iPhone Music Manager installed on Mac/Windows, connect your iPod/iPhone with it using the lightning cable and "Trust this Computer". 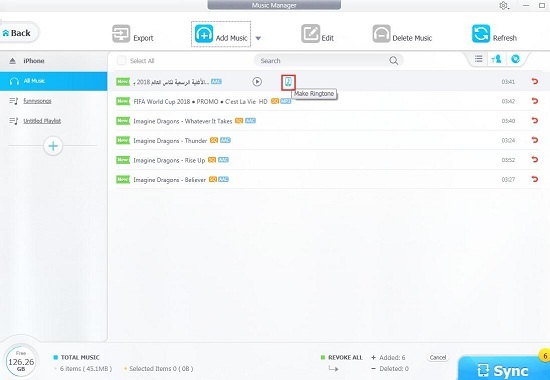 Step 2: Click on "Add Music" or "Add Folder" and select FIFA songs and other FIFA ringtones for batch transfer. Note: This music manager freeware only supports transferring audios in MP3, AAC, M4A, FLAC, APE, WAV, WMA, OGA, OGG, use it to directly add ringtone to iPhone. Step 3: Click on the Sync button to apply all the changes and music transfer. DearMob iPhone Music Manager combines a music transferer and a ringtone customizing tool as a whole. After adding FIFA songs to this software, you can trim out the ringtone part. Step 1: Hover the mouse over the music title when import is finished, and you'll see a functional icon - Make Ringtone. Step 2: Click on "Make Ringtone" icon to start picking a maximal 40 seconds episode of FIFA music, and click on "OK" to save the changes. Step 3: Remember to tap on the "Sync" button at the bottom-right of this ringtone maker to apply all the adjustments. Now, you can set an iPhone ringtone using FIFA songs listed in your iPhone ringtone choices. Tap to enable it! * You can set free FIFA songs purchased from iTunes Apple music using DearMob iPhone Manager. * Kindly note that ringtones added to iPhone shouldn't be longer than 40s, and that text tones shouldn't be longer than 30s. * DearMob iPhone Music Manager freeware creates ringtone for iPhone out of music in MP3, AAC, M4A, FLAC, APE, WAV, WMA, OGA, OGG format. Free download FIFA World Cup song MP3 to iPhone to enjoy on the go to experience the crazy and inspiring carnival wherever you are. How to download FIFA 19 iOS iPhone? This guide helps you download FIFA 19 IPA game and easily install FIFA 2019 EA sports game for iOS iPhone without choke.